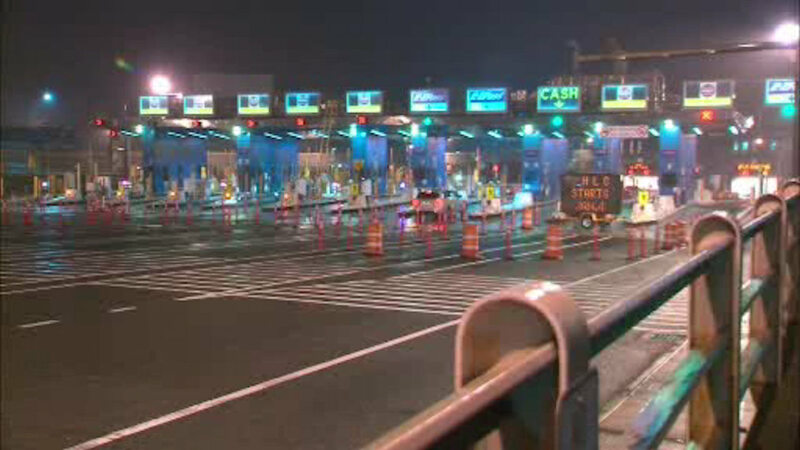 NEW YORK CITY (WABC) -- Beginning on Wednesday, drivers will say goodbye to toll booths and hello to cashless tolls when they travel through the Brooklyn Battery Tunnel. When the change takes effect at 3 a.m., every car that goes through the tunnel will be scanned. Drivers with an E-Z Pass will be automatically billed, while drivers without one will have their license plates photographed and a bill mailed to the registered owner. This follows a successful test of cashless tolling at the Henry Hudson Bridge last month. The MTA will continue its rollout of cashless tolling to the Queens Midtown Tunnel on January 10th. The Rockaway Bridges and the Robert F. Kennedy Bridge will follow later this spring. The Verrazano-Narrows Bridge and the Throgs Neck Bridge will make the switch this summer. The Bronx-Whitestone Bridge will complete the MTA's cashless transformation of its bridges and tunnels later this fall.